Since then, Shmuley has gone on to publish more than two dozen books, appear on TV, radio, and tour the world speaking — and making quite a name for himself. 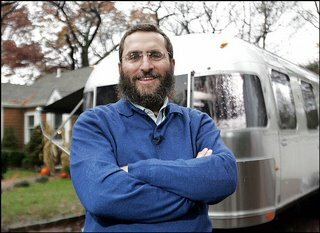 Whatever you know about Shmuley, you have to admire his ability to generate controversy that makes the Jewish establishment bristle, tackle relavent subjects, and bring passion to Judaism. He’s a great speaker and debater, and worth hanging out with for Shabbos. He has a drive and mission and is trying to bring a new way of looking at Judaism to a wider audience.